September 28 - The Aristocrats Live In Concert. Trio composed of those who are three of the most highly rated musicians in the world, namely Guthrie Govan, Bryan Beller and Marco Minnemann. 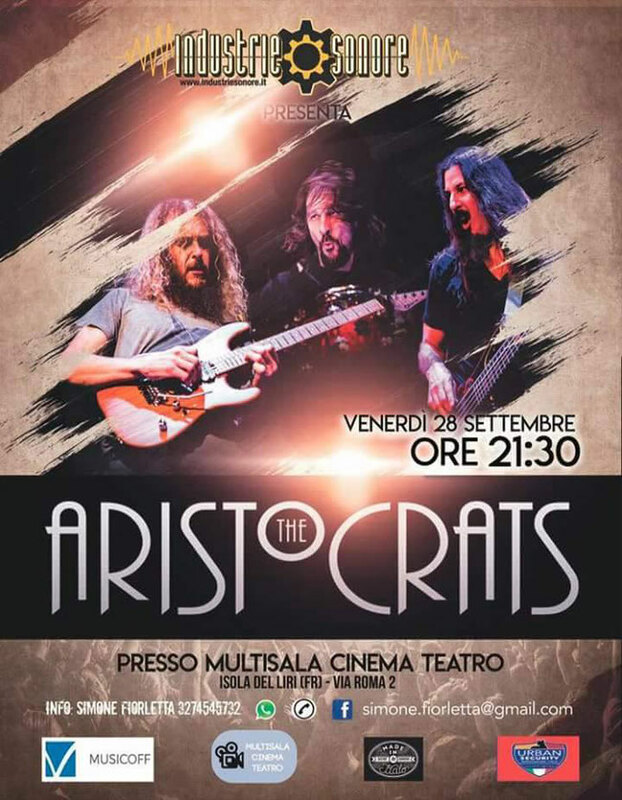 The Aristocrats will be on tour in Europe and, as far as Italy is concerned, they will stop in Milan, Ancona and Isola Del Liri (FR) at the Cinema Theater Mangoni. October 08 - Greg Howe Trio Live In Concert. 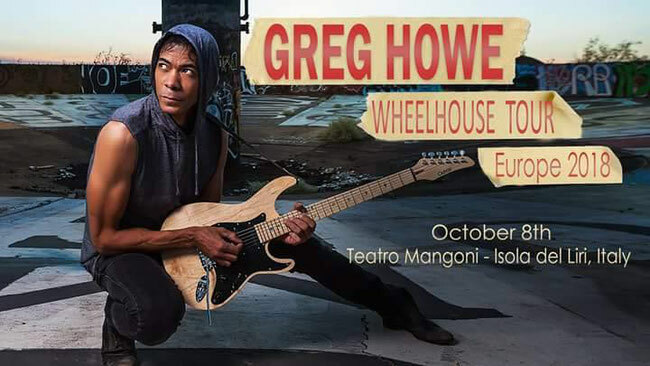 Unquestionably the greatest exponent of the fusion guitar, Greg Howe will be on tour in Europe in October, tour that sees the stage of Isola Del Liri as opener of all the live that will follow. Both concerts will be held at the Cinema Theater Mangoni under the exclusive organization of Industrie Sonore thanks to Simone Fiorletta and Marco Di Folco.